If you want to create a soft and light horse with great groundwork foundations, this brand new DVD is perfect for you! Filmed by the multi award-winning director, and producer of Listening to the Horse, Elaine Heney, and designed by legendary Australian horseman, Steve Halfpenny. 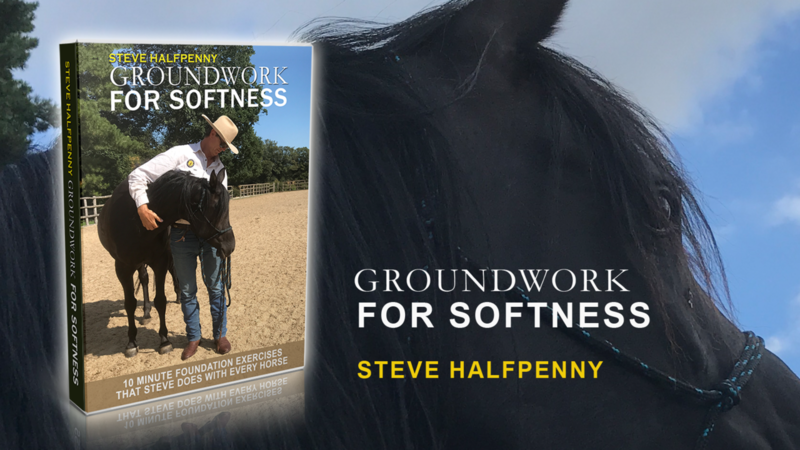 This DVD, 'Groundwork for Softness' won the 'Best Documentary' award at the NYC Indie Film Awards and it is an official selection at the EQUUS Film Festival, USA. This program walks you through a series of easy to follow, 10 minute lessons, perfect to practise at your home. You will receive on a DVD in the post, and get online instant access on any device with an internet connection to the full series also. So you can start work today! In this 2 hour DVD + online course, Steve Halfpenny explains how you can create a soft and light horse with these 10 minute groundwork exercises. These step by step exercises are the beginning of the journey to Light Hands Equitation, including catching, haltering, leading, lowering your horses head, backing up, follow a feel, bridling, saddling and using the mounting block. Improve your horsemanship in just 10 mins a day. You can also prepare for your next Light Hands Equitation clinic by spending time reviewing these important basics. Instant online access to all 17 horsemanship lessons so you can get started today. Access 24/7 on any device with internet access. This includes two hours of footage with Steve Halfpenny. 1 x DVD containing 17 horsemanship lessons, posted worldwide with FREE shipping. Please allow 3 weeks for DVD delivery. The DVD ship worldwide, including USA, Canada, Holland, UK, Europe, NZ. The DVD price includes free shipping worldwide. DVD + online access, plus FREE shipping worldwide, including USA, Canada, Australia, New Zealand, UK, Germany, Ireland and Europe.